Washstands made of XPS construction boards. 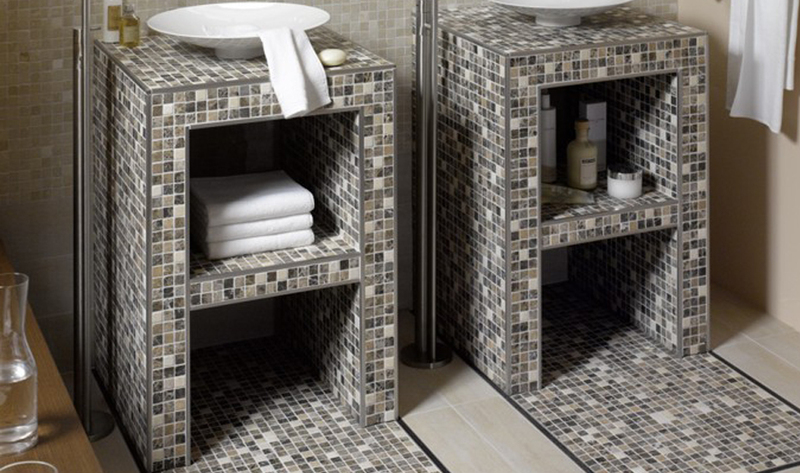 Suitable furnishing elements for every bathroom. Easy construction in just a few simple steps with prefabricated installation kits. Create customized bathrooms with tailor-made furnishings. And save time and money while doing so: with JACKOBOARD® construction boards and prefabricated elements made of lightweight, high compression strength XPS. They enable you to build custom-designed bath furnishings and washstands for every bathroom situation in just a few steps. For individual bath design, there is a broad range of JACKOBOARD® construction boards you can trim into any shape you wish using commercially available tools. Along with this, our practical washstand installation kits provide you with prefabricated construction board sections for the easy, time-saving creation of single or double washstands. Assemble the tongue-and-groove joints of the separate elements and permanently bond them with the assembly glue provided. Use the perfectly matched accessories to reliably seal the components for the wet area application. The special surface coating of the JACKOBOARD® boards then enables you to finish the completed washstand with customized tiling, filling compound or plaster. That means nothing stands in the way of creating a wellness area now, even in bathrooms with a small or inconvenient layout. JACKOBOARD® Vanity Tileable Wash Basin for barrier-free bathrooms.